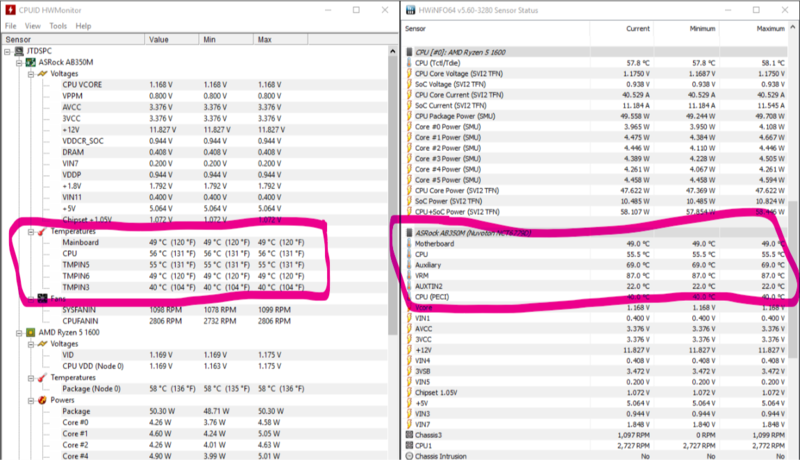 Are you sure that VRM temperature is not correct? CPUID HWMonitor is also showing some wrong values, so don't use it as a reference. (11-29-2017, 02:52 PM)Martin Wrote: Are you sure that VRM temperature is not correct? CPUID HWMonitor is also showing some wrong values, so don't use it as a reference. I'm sure, because of the touch I can feel that it is not hot. And the temperature decreases at full load. OK, I will remove the VRM label on that value in the next build.